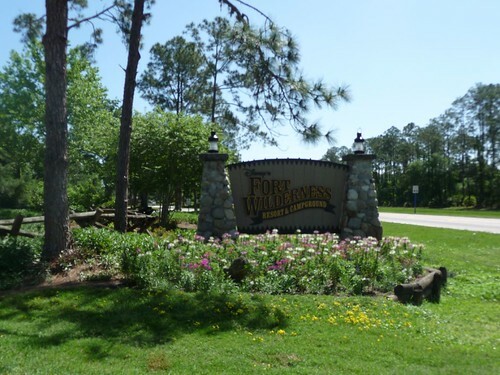 Mali Mish – Day 72: Fort Wilderness Resort and Campground. 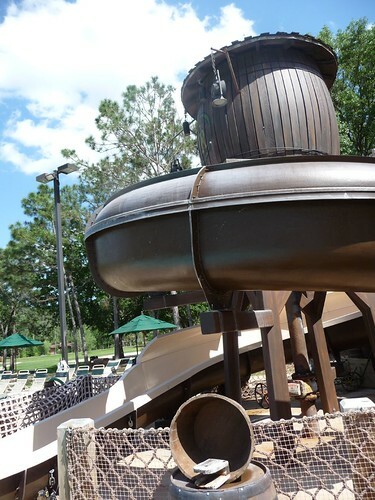 Orlando for one reason or another is the home to some of the biggest theme parks in the country. 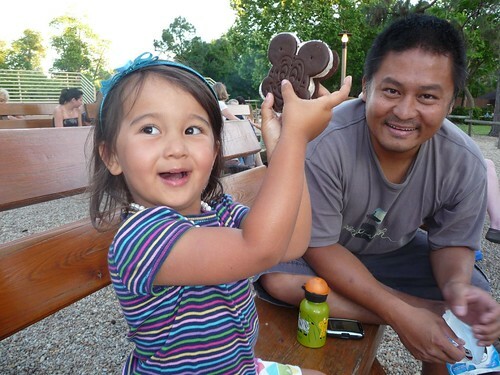 Walt Disney World, Seaworld and Universal Studios all have their flagship amusement parks here. 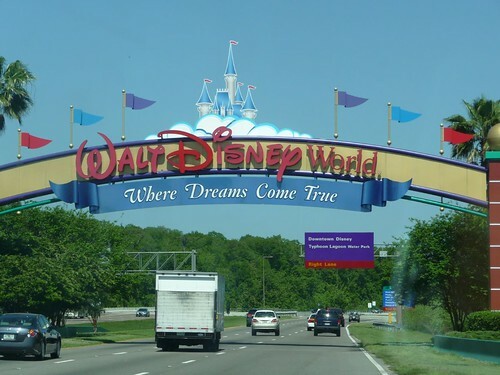 As you drive through the gates of the Walt Disney World compound, it is like you are in a totally different country. A country ruled by a cartoon mouse. 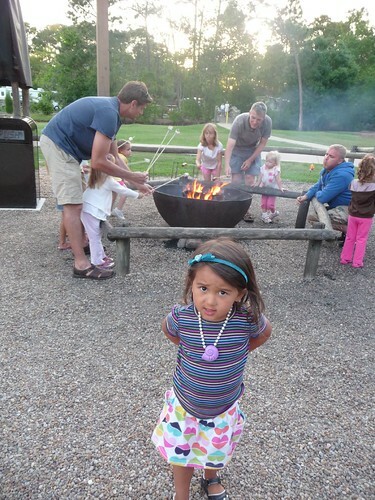 Our reservation is at the Champions Gate Villas and Campground. 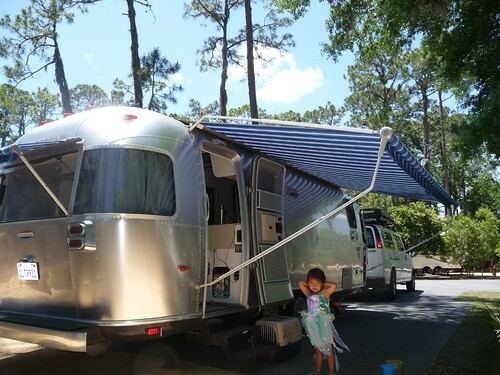 It is one of the most expensive places in the country to park your RV but since it is part of the Disney Resorts, you also get a lot of nice benefits that go with it. 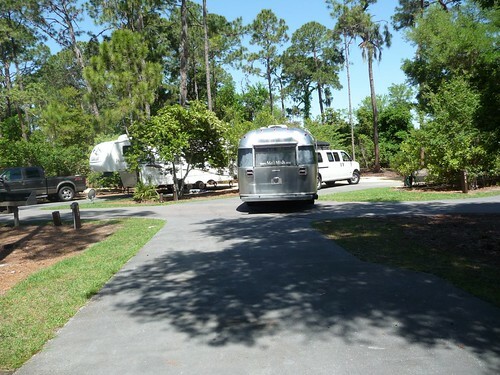 Every site they have at the campground has a leveled pad as well as full hookups. Even cable and wired Internet is available but not unless you cough up an extra fee. We didn’t expect to spend too much time at the site and plus we had pretty good 3G reception for Internet access from Sprint. Ava wasted no time by getting into her favorite Disney princess dress, Ariel from the Little Mermaid. 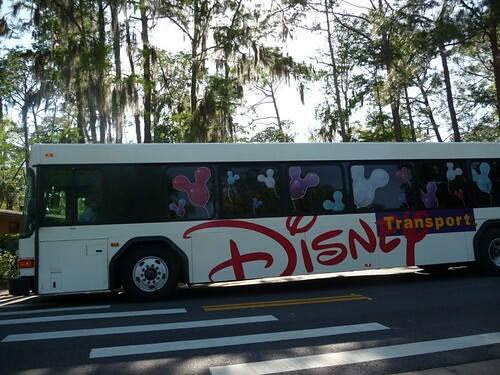 Disney Resorts offer free transportation for all of their guests to get to anywhere they want. Besides the buses, there are ferries and of course the monorail. 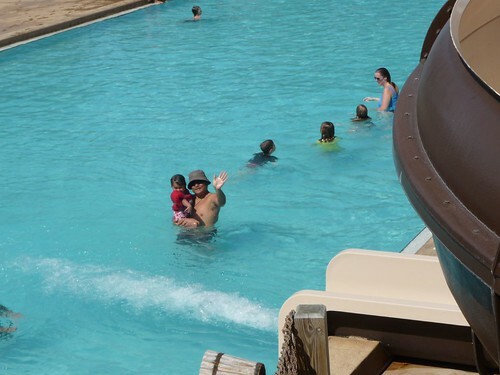 Since we are not going to one of the parks today, we decided to take it easy and make our way to one of the two swimming pools at Fort Wilderness. 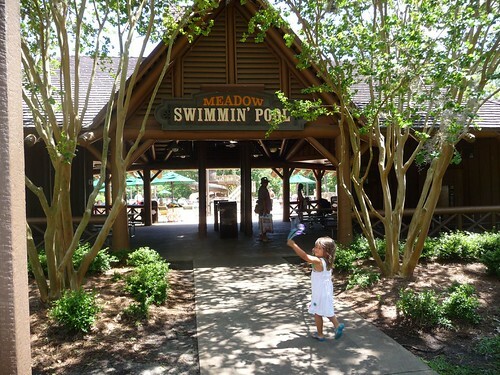 Just to get her feet wet, Ava started out at the kiddie play area where there are a couple of little water slides. 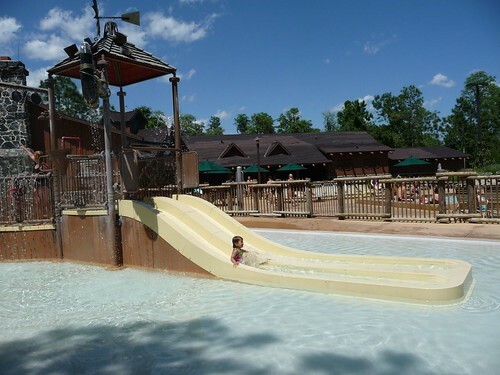 At the big kid pool, there is a much more menacing water slide that’s bigger than anything she has ever done by herself. And by herself she will have to go since we are not allowed to ride down with her. After seeing some other kids about her size go up and down the slide, she worked up enough courage to give it a try. With a little help from Marlene, she slid down feet first with me waiting for her on the other end. 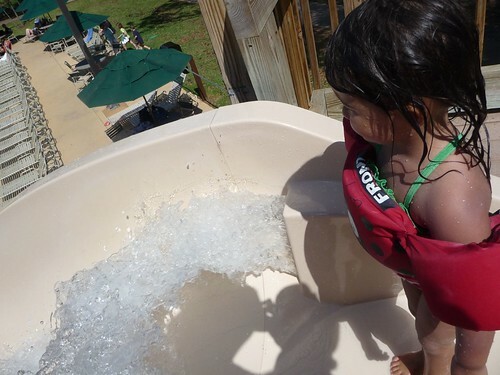 Not knowing what to expect, she apparently spun around on her way down and ended up coming out of the slide head first. Although she was a little spooked, I gave her some tips about keeping her arms up and to the side, she got back up a few more times and had a few more runs later in the day. See what I mean? This mouse is every where at this place. Time to head back and make some dinner. This is making me hungry. 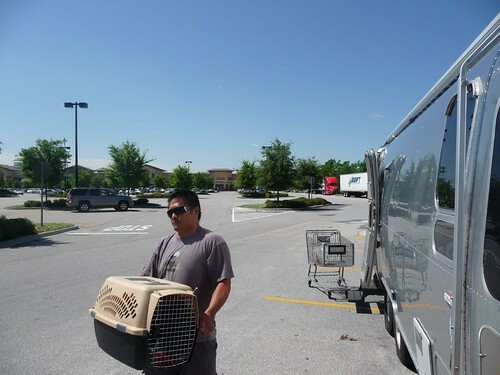 At Walmart this morning, we spent a couple hundred bucks on food and miscellaneous supply. One of the things we got was this screen kit for our 10×10 EZ-UP. 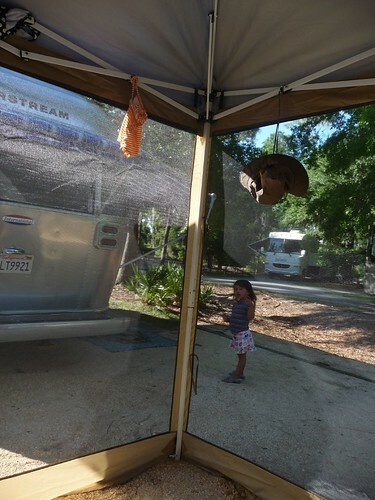 Although not made for our particular brand of sun shade, it fit like a glove. Best 30 bucks ever spent. 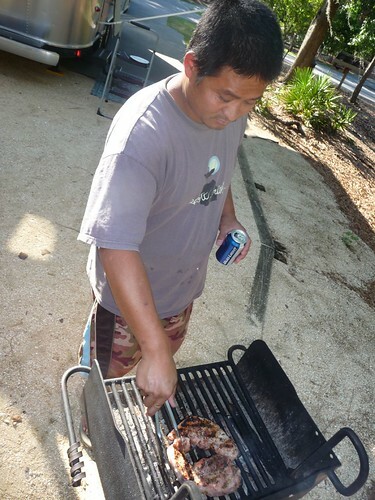 Each campsite also is equipped with its own BBQ grill. Finally, I bought some meat and charcoal this morning so we were able to enjoy a nice BBQ meal at the picnic table inside the screened sun shade. 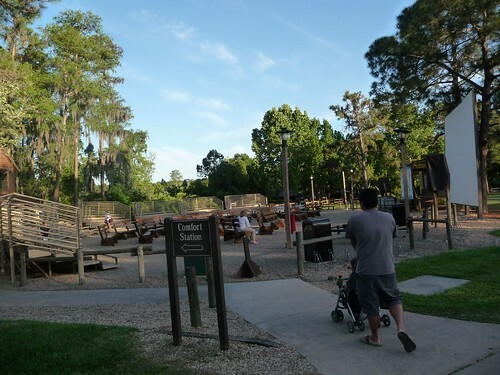 Fort Wilderness has a lot of activities that incorporates the Disney characters. 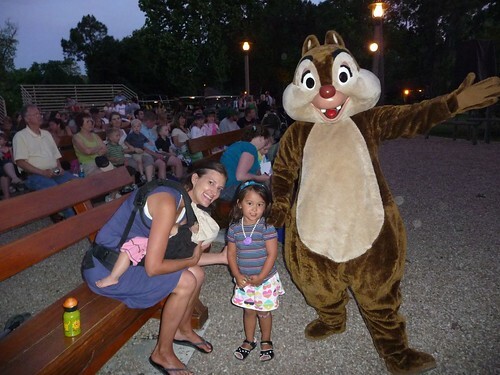 Nightly there is a campfire sing-along at the outdoor theater with Chip and Dale so we made our way over there. 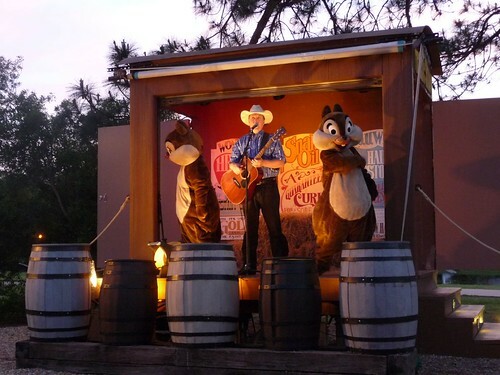 Soon enough, Cowboy Mark along with Chip and Dale emerged and sang and danced everything from John Denver’s Country Roads to the theme from It’s a Small World. Ava even got brave enough to give Dale a hug! 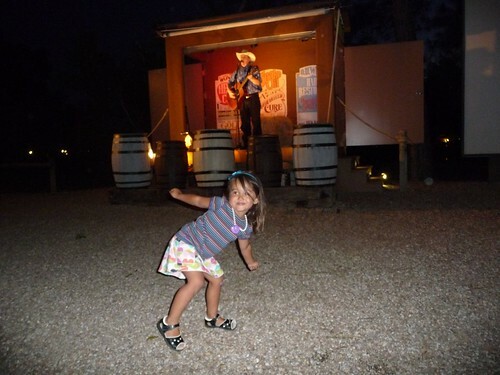 One of the things that happened on this trip is Ava has shed a bit of her shyness. We think it’s partly her growing up but also partly her not having regular playmates to play with. Take note of Dale’s pose here with the arm stretched out and kicked out leg on the heel. 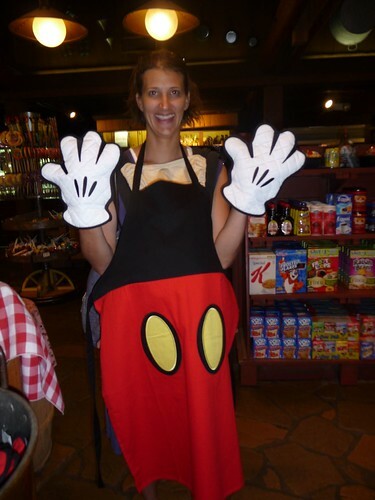 I suspect this is part of what you learn as a “Cast Member” at Disney World. The difference I noticed between male and female characters is that the male ones kick their leg out heel down while the female ones point their leg sideways toes down. 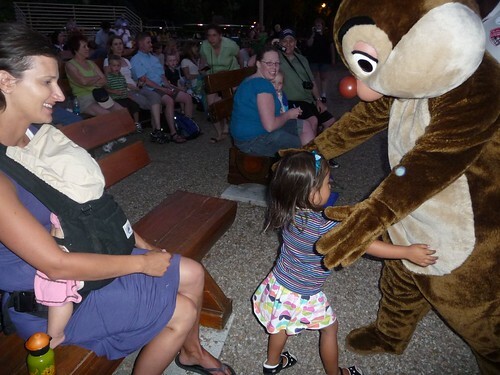 Enough posing with chipmunks, it’s time to dance! If you want to check and find out the quality of the water in your pool and the chemical composition it has, then use one of these. Day 73: The Magic Kingdom.